This property currently rents from $269 - $389 per night. This condo brought in a staggering Gross Rental Revenue of $96,456! The most private and serene condo at the resort. 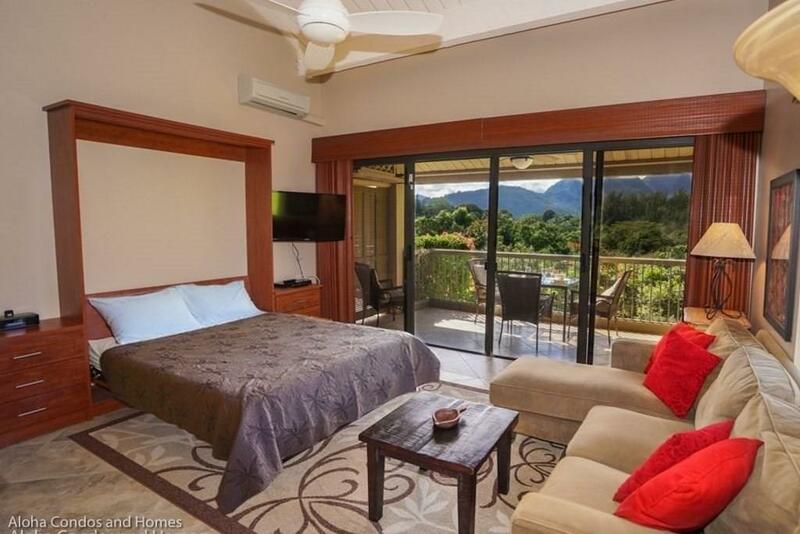 Once inside this spacious condo, you'll feel like you're staying in a remote residence with views of only jungle and mountains. 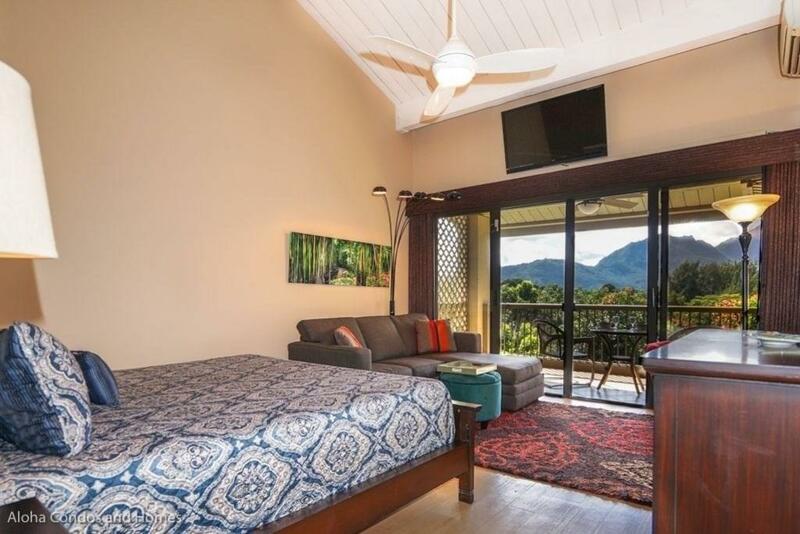 Located in the smallest building at the Resort it will seem that you have Hanalei Bay Resort, if not the entire island, to yourself. 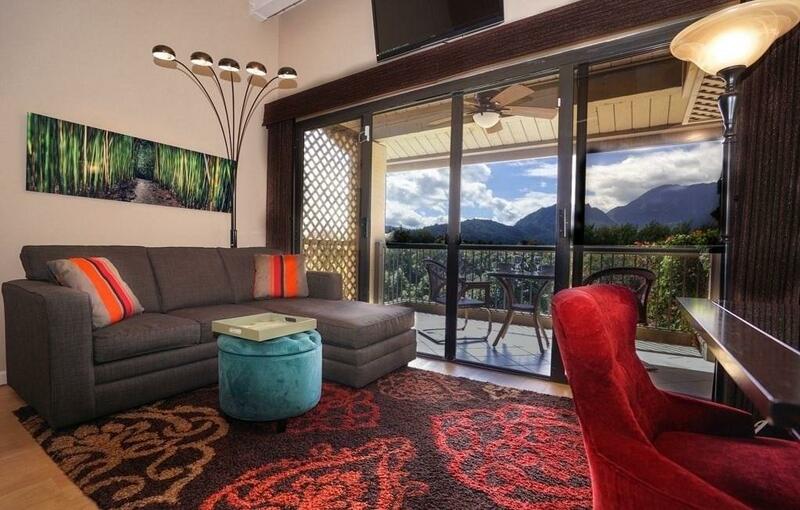 This is an extremely well renovated, turn key, top floor condo in a quiet location within the resort. 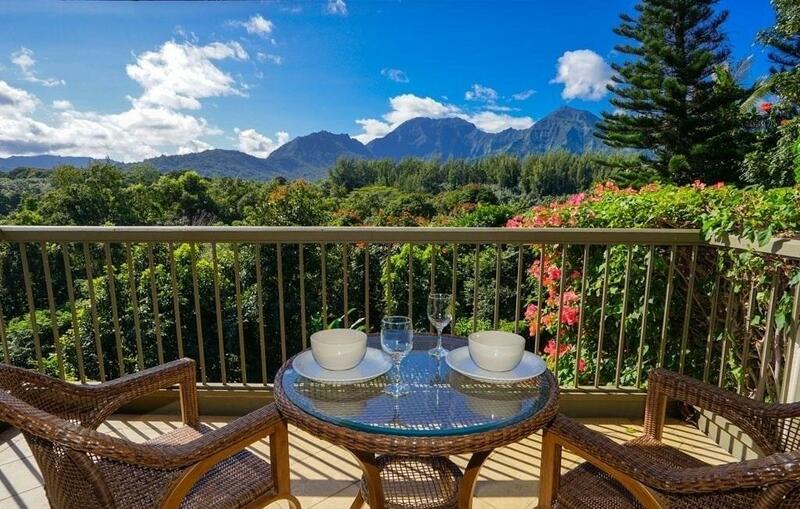 This condo has wonderful mountain and waterfall views from the recently tiled lanai. Not only was a full renovation done two years ago, but the property has been upgraded since. Estimated renovation costs are north of $100,000. 1558 has a very comfortable Murphy bed, very well equipped kitchen, new stacked washer/dryer, and stunning bathroom.1557 has a King bed, new bathroom also, and a Butlers pantry with under counter refrigerator, coffee maker, blender and electric hot water kettle. This is close by the main pool and sand bottom hot tub. Barbecues are close by behind the tennis pro shop. Enjoy all the facilities of the resort with two pools, eight tennis courts, two barbecue areas, hospitality room, fitness center, and a wide path to the beach shared with the St Regis Hotel. The HBR maintenance fees include all of the condos utilities - electricity, water, phone, internet and cable. The Happy Talk Lounge on premises offers dining, music and beverages along with an ocean view. The Bali Hai Restaurant next to the Happy Talk is scheduled to open next year.The information contained herein is reliable but not guaranteed, buyer to perform due diligence and independently verify all facts and figures.